While teaching Defoe’s Roxana to my students, I was sent an intriguing book entitled A Curious Invitation: The Forty Greatest Parties in Literature by Suzette Field. Now I’m not qualified to talk about all the works discussed here: from the Book of Daniel through Proust to Hollinghurst there is surprising variety of balls, routs, revels, masques, orgies, feasts, banquets, proms, weddings, birthdays and even a wake (Finnegan’s, of course). But I am able to comment on what Field calls ‘A Little Ball at Roxana’s House’. In common with all the parties, each entry has sections entitled ‘The Hostess’, ‘The Invitation’, ‘The Venue’, ‘The Guest List’, The Food and Drink’, ‘The Dress Code’, ‘The Entertainment’, ‘The Outcome’, and ‘The Legacy’. It all works rather neatly for Roxana’s ball at which she appears in her Oriental masquerade (also, Field has obviously done her research: she even notes ‘there is no definitive evidence that Defoe wrote Roxana’). 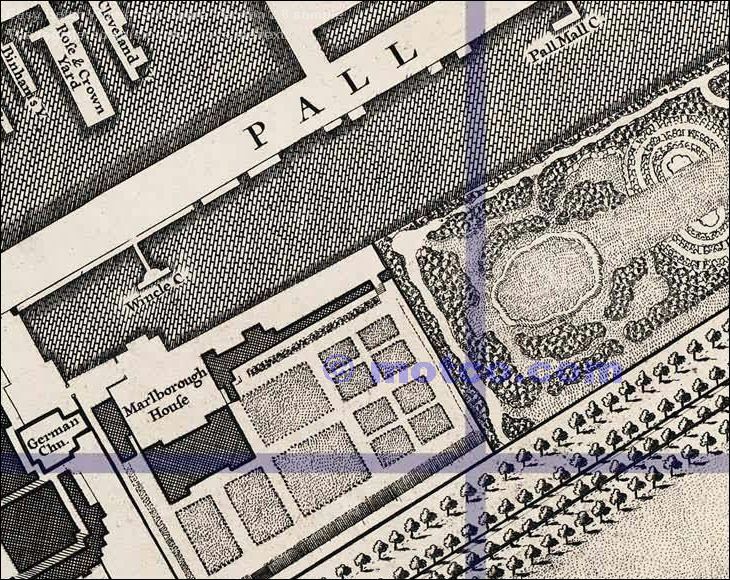 However, my eye was caught by Field’s description of the party’s location in Roxana’s ‘handsome apartments in Pall Mall’. We rise at Nine, and those that frequent great Mens Levees find Entertainment at them until Eleven … about Twelve the Beau Monde assembles in several Coffee or Chocolate-Houses … If it is fine Weather we take a turn in the Park until about Two, when we go into Dinner, and if it be dirty you are entertained at Picket or Basset at White’s, or you may talk Politicks at Smyrna or St. James’s. the best Company generally go to Tom’s and Will’s Coffee-Houses, near adjoining, where there is playing at Picket and the best of Conversation until Midnight. Here you will see Blue and Green Ribbons and Stars, sitting familiarly … Or if you like rather the Company of Ladies, there are Assemblies at most People of Qualities Houses. Clearly, Macky was fascinated by the pleasures of the area and the status of its denizens. It’s a key context to Defoe’s Roxana, whose apartment in fashionable Pall Mall reflects her wish to appear as a ‘soi-disant wealthy widow’, as Field nicely puts it. Yet as she rightly points out, in one regard Roxana’s choice of location is not entirely well calculated: despite Macky’s excitement at the wealth on display in Pall Mall, the residents of the West end of London are also those who ‘tended to live beyond their means’. As Roxana declares, she finds herself harassed by ‘Fortune-Hunters and Bites … to make a Prey of me and my Money … Lovers, Beaus, and Fops of Quality’ (1724, p.210). Field picks up on Roxana’s fascination with status, noting, in the section entitled ‘The Invitation’, that ‘[n]evertheless she is not averse to a bit of social advancement’. Now this is either an ironic understatement more suitable to an Austen novel, or a fudging of Defoe’s intent to underline Roxana’s crucial weakness: ‘I aim’d at other things, and was possess’d with so vain an Opinion of my own Beauty, that nothing less than the KING himself was in my Eye’ (1724, p.210). However, the voice in Field’s book is frequently that of the understated party hostess that does not obtrude upon or overly manage her guests. For example, in common with all the entries in the book, the next section is called ‘The Venue’. Here Field quotes Roxana’s description that her apartment was in a house ‘out of which was a private Door into the King’s Garden’ (1724, p.200). Defoe places Roxana’s comment some time before her comment on catching the King’s eye, separated as they are by the discussion of Roxana’s financial dealings with Sir Robert Clayton. Presumably Defoe intended for us to remember the significant topography of her apartment when he has Roxana admit her vanity. Coming immediately after her comment on social advancement, Field manages to infer just as much as Defoe intended about Roxana’s social vanity and her choice of location. In ‘The Outcome’, she comments, in another understatement, that ‘Roxana has succeeded in catching the royal eye’, footonoting that ‘It is perhaps no coincidence that Roxana resides on Pall Mall, as did the King’s most famous mistress, Nell Gwynne.’ Location, location, location: Defoe’s interleaving of sexuality, historical allusion and moral topography is clear in Roxana’s party. Suzette Field, A Curious Invitation: The Forty Greatest Parties in Literature (London, Picador: 2012), pp.33-38. Edward Hatton, A New View of London. London, 1708, p.61. John Macky, A Journey Through England. London, 1714, pp. 107-109. Macky later breathlessly lists the members of the aristocracy living on Pall Mall and the streets around, p. 128.